A two-component raw material system for manufacturing polyurethane-polyurea elastomers. 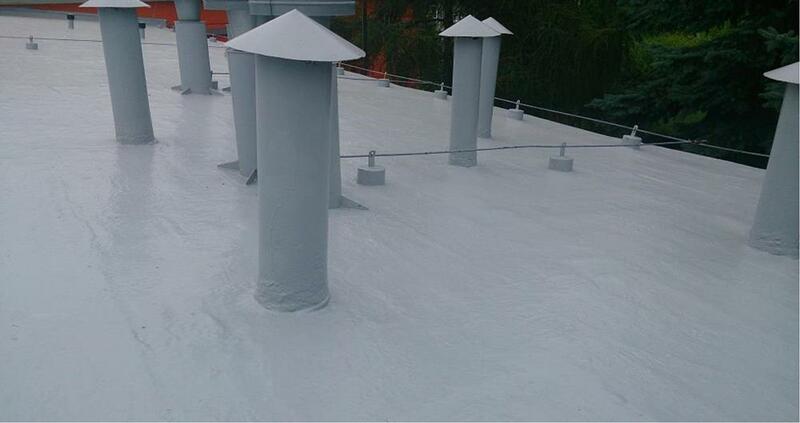 Similarly to the polyurea, the PUREX HB elastomer enables the creation of fast-curing seamless coatings applied by use of a high-pressure unit where it is necessary to protect the substrate from exposure to water. It enables the creation of a waterproof coating on surfaces like polyurethane spray foam, concrete, metal and wood. It can be used as an anti-corrosion coating. PUREX HB is characterised by its lower resistance to mechanical damage than PUREX AM, and in some applications it can be used as a cheaper substitute. steel containers (overground and underground).